Apps development is a growing and potential area for technology entrepreneurs to start a venture. Many apps based ventures like WhatsApp, Instagram, and Messenger have become a brand creating waves in the apps industry. Apps development also provides opportunity for solopreneurs who do not want to manage a large team or invest large capital in asset acquisition. “Think about this statistic: 2% of app developers claim about 54% of all app revenues. So, how do you join that alluring 2%? Have a well-thought out plan to profit from your app. And hash this out before your app launches.”- Annum Munir -Content Marketing Manager at Localytics.. 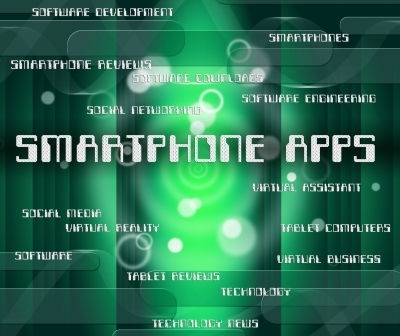 The exploding communication devices like tablets and smart phones offer apps development opportunities. Mobile apps development has become a separate vertical with affordable smart phones, broad band availability and 4G launch in developing countries like India and China. Movie tickets, taxi booking, food delivery service, health care services, mobile games etc. are popular. The astonishing growth of E- Commerce business has led to the development of apps for these sites and many new entrepreneurs have joined millionaires club. The website Ideas watch.com has listed 722 startup ideas for apps development. Ideally suited for tech savvy individuals who want to minimize the risks as apps are developed based on the customers’ requirements. Generally, tech entrepreneurs’ weak spot is marketing their product and building network. The down side is that revenue stream may not be steady. Apps are free to use and revenue is through the advertisement. The channels competing for ad revenue is large and a good marketing effort is required. The apps also should have a good user base to attract advertisement. A commercial user may get irritated with advertisements. E- Commerce platform is a high growth area. The user does not pay for routine features and premium features are the sources of revenue. However, the risk associated is high. 1. Udupi, a tier three town in Karnataka, is creating waves as new tech. entrepreneurs are developing apps for marquee clients like Disney, Warner brothers, MTS and Sears. Skilled manpower is available from around twenty Engineering Colleges within a 60 km radius. The quality of life for entrepreneur as well as employees is far better as commuting time is very small and rentals are moderate. 2. Tripigator has developed a mobile app for travel planning having 80,000 downloads. 3. Bumper -A mobile app for car service and repair. It has raised $500,000 funding and has 100 registered dealerships in Bangalore. 6.. Parking Frenzy- The task is to park at the most challenging spot they can offer. The popularity of this app can be gauged by the fact that it is Rated 4+ by more than 60K people. The apps development is offering a strong ecosystem for promoting startups and also for tech savvy persons an opportunity to monetize their intellectual capital.